When you delve into historical fiction, you are literally playing with fire. However, when you have your facts right and can weave an interesting story line people will love it. Not as easy as it seems though. 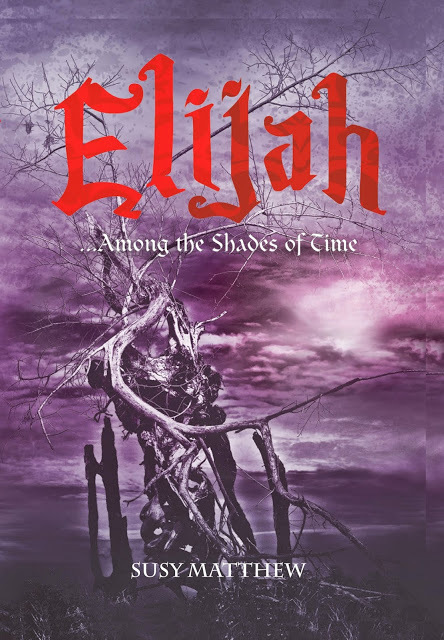 Susy Matthew has come out with two such books and I had the chance to review her latest one – Elijah… Among the Shades of Time. So as a part of our author interviews series where we catch up with famous authors and their books, I got chatting and here is what ensued when Susy talks to the Tiger. Interesting question; never really thought about it in a secular format, but I would like my grave stone to carry “She had her Father’s eyes”. This is more in a Christian context, to be interpreted in any way you want. Since both Malaysia and India were under the British Empire those days, my dad, his brothers, then later my mother and aunties were employed as teachers under the Raj. My siblings and I were born around the time of Malaysia’s independence, on the island of Borneo. Our childhood was cocooned in All Saints’ School, Likas; bordered by school buildings on one side and the fringe of the jungle which gave way to a beach skirting a blue lagoon, on the other side. ‘My beach’, was home to zigzagging crabs and buried clams waiting to be unearthed at leisure. In the evenings just before sunset, we would walk far out on the exposed sea bed, our toes squishing in the wet sand, hunting for rock pools temporarily abandoned by a retreating tide to discover treasures of tiny, waving sea anemone and coral between which Nemo and his kind darted. Beaches will always be ‘white sands, coconut trees, whispering waves and bright sunshine to me’, though later on, I discovered that God has a much more active imagination than mine and beaches can be of any texture and colour and waves are not always lazy and friendly, they could be lashing about restlessly under gloomy grey skies even on a ‘good’ day. That’s not to imply my lagoon was insipid – no, on days when the tip of the tail of a typhoon which pounded the Philippine islands lashed about in our skies, we could hear the roar of the waves as we kids huddled under a single large blanket, waiting (giggling in delicious fear) for our parents to arrive with the hurricane lamp. The power lines were down. The warm glow at the doorway immediately dispelled the doom; we were safe! We watched in fascination as the wind shushed under the front door and lifted the linoleum off the floor! Trees outside clawed frantically as lightning speared the skies! Those were magical days. My parents were science teachers. In fact, they were pioneers, introducing Pure Science for the very first time to the education system in the state. (A fact recorded in the Who’s Who of Sabah). A science lab was started, with the necessary chemicals and instruments required and soon classes were buzzing with Chemistry, Physics and Biology as separate subjects, and affiliated to the GCE system. From a physics teacher, my dad soon became the principal of the 2000 strong school and to my surprise, the benign, cordial parent I was used to at home was the strict, no – nonsense authority at school and my friends and I soon found out just what punishments were meted out for pranks. Having mum as a subject teacher was no comfort at all either, talking in class or shirking homework was a punishable offence. In fact any misdemeanor in any other subject, under any other teacher, (small and insignificant cases, if you ask me) was not spared discussion at the dinner table with the principal, himself. So, story books were my great escape. 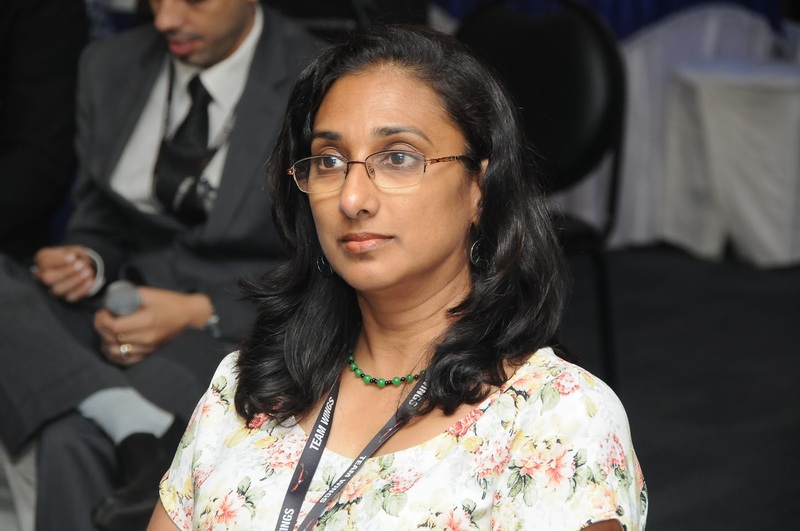 My schooling was in Kota Kinabalu, Sabah, (Borneo), till I had to leave for Bangalore, India for the rest of my education and where I earned my degree in Architecture. My younger siblings had left home earlier on the same route of ‘escape’ as the education system in our safe little world was changing and my parents had no other choice, but to send us out. When our world as we knew it changed overnight, my best alternative to noisy siblings was the silent comfort of the world of books. Each book was the door to another world, another adventure; you could never find me without a book. 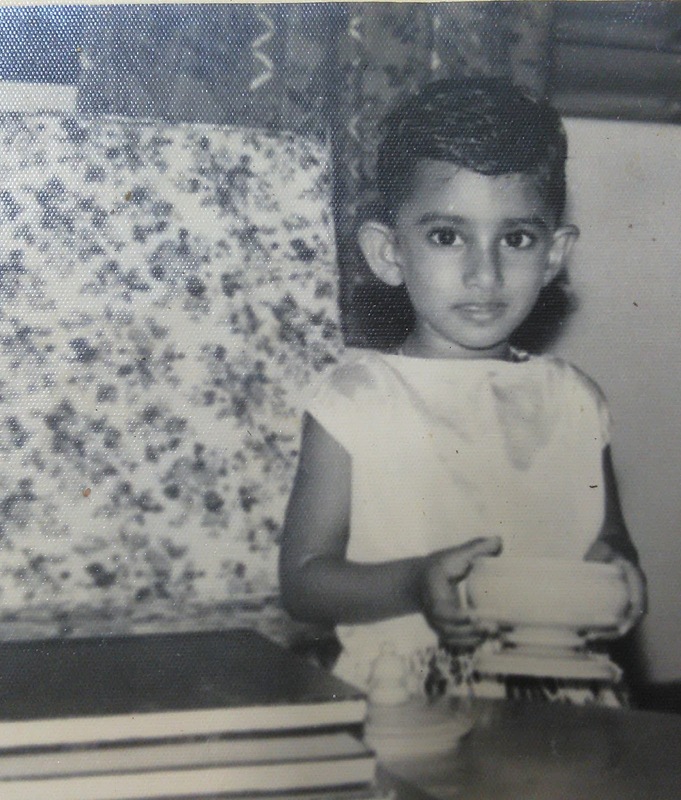 I was a voracious reader and my parents encouraged it. To think of worlds unseen, to believe in another point of view, to chase a thought born only in one’s own head was easier than I thought possible when I realised I had to put it to paper. My parents are my inspiration I realise, as I look back. They had insurmountable odds to overcome in first having the family split up, then the dangers to their jobs which they could not afford to lose with 3 children dependent and vulnerable away from home. Yet they refused to cow down, nor did they buckle under pressure to give up their faith in their God and join the easy majority as demanded of them. Their dogged determination to ‘what we do, we carry though’, coincidentally the motto of the school they served, was an unspoken yet clear guide to all of us as a family. So, however unconventional the topics of my book, I ‘run the race set before me’. I had always wanted to be a doctor. Then life had its own way of steering me and I became an architect instead. In retrospect, I don’t think I could have taken the strain of being a doctor; the responsibility of holding another’s life in your hands every time you prescribe medication or pick up a scalpel; No. Thought process behind the book? A historical thriller is tough. You must understand that the book is written after I had experienced a lot of life. It was not birthed on a whim either. The one steadying factor over the many decades is my faith in God. I found Him early on just before I had to leave the safe cocoon of life on my island, and He has held me steady on many a slippery road that was awaiting on my journey called Life. If I was keenly aware of God from the beginning, I was slowly awakened to the fact that the Unseen world around us also held many dangers. Hence this book ‘Elijah…Among the Shades of Time’, which deals with the existence of both opposites of supernatural forces. You cannot negate the existence of one side and only embrace the other. Research for this book was different from the hours I had spent in a library researching for my first book. The amount of information available on this topic is so readily available on the internet; it’s frightening; especially when you think that unguarded minds, young and impressionable minds could access it at the touch of a button. There were times when browsing through book shops I would chance upon books on the occult, demons or witchcraft, authored by those who practice these arts, and cautiously, I would leaf through them and to my relief, found my other research to be on target. Read the book reviews, especially the christian books, here. How did you come up with that name for Elijah? I had named the raw manuscript ‘Elijah’ to help identify it easily, and when the story was completed, I realised I couldn’t think of a better title either. The tag line ‘…Among the Shades of Time’ was in two parts: ‘Shades’ represented the old English word for ‘demon’ as well as a more modern description of ‘gloom’, and ‘in Time’ was to explain the length of the influence of both. It also helped tie in with my first book “In a Bubble of Time’ whose title is another story in itself. Ruth, the fictional protagonist. I can identify with her on so many levels. It is said that every work of creation reveals its creator and I guess as an author, it would be inevitable that each of my characters would have streaks of my identity as well. Since my genre is Historical fiction, history has so kindly given me the broad frame of the story. It was up to me to join the dots and make fact plausible through fiction. Often I have to create new characters – supporting casts, to balance the story and give a bridge between knowledge gleaned and the possible reasons for events. For example, if a historical character is rude or suspicious, what could have lead up to this point in his / her life? Where could the change from innocence to information have taken place? What factors aided it? So a fictional character is created to help prop up assumptions. I can stop the story at any place along the historical time line once I feel the point of the tale has been met. I hope my readers will be able to view historical events as tales of those who have lived before us; blood and bones that have lived and breathed, loved and died, with emotions, hopes and aspirations just like us today. Hopefully too, they will learn from the mistakes of those who have gone before us, tried and tested the waters before us and now, here we are to learn from them or to repeat their mistakes. There hasn’t been any single, specific moment that I can speak of (after the release of the book,) but the OMG! moment when I was writing the story, came while researching on the duel on Mt. Carmel, between Elijah, a lone prophet of Yahweh (God of the Israelites) and 850 prophets of Ba’al and Asherah combined. Keeping in mind these 850 prophets were well versed in the highest levels of witchcraft, Fire control and Binding Spells would have been run- of- the- mill magic for them. Yet their efforts were blocked during the duel and Elijah, who clearly wasn’t anticipating using any of their methods to gain power, found victory when Yahweh defeated them, speaking their ‘own language’. This was necessary in the eyes of the lay audience because they had to compare ‘apple to apple’ in settling on whom to follow thereafter. Please tell me how do you prepare yourself to write. How do you beat writers block? I don’t have a set method – I just write when I feel the words crowding my head. Writers block, hmm, I would have to retrace my steps, go back a few scenes and see if I can find another route to take my characters if they have reached a dead end on the current route. I am working on a couple of other manuscripts. Hope to have more books out soon. Any message, tips for aspiring authors? An author’s secret? Write because you need to get the words out, because the story is begging to be told. Don’t write to impress your potential readers. That having said, you need to read more than you write. Because you cannot bring out what is not already in there. I have tried to find one in answer to this question, but I sincerely cannot isolate any. They are all equally dear to me, special in their own way. My readers could probably answer this better, as I have been told that the book has touched them differently, each in his / her own need of the hour.